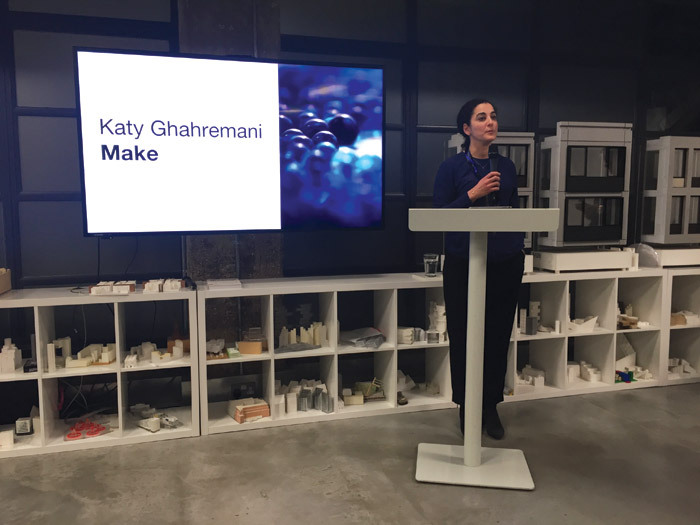 A ‘maker’ from the beginning, Katy Ghahremani hasn’t just watched Make Architects grow, she has led their most high-profile projects to completion, nurtured their bottom-up office culture and made inherent the values that the company treasures as a part of its brand. But it is not just inside Make that Ghahremani is committed to making change. Regularly contributing to industry debates and thought pieces, and sitting on judging panels for ideas’ competitions and awards alike, Ghahremani shows her passion for the design world through a host of outlets. As co-chair of Architects for Change, the RIBA’s Equality and Diversity Committee, Ghahremani is resolute on leading the industry to a more equitable, diverse and better future. Ghahremani has the skill and experience to be able to work across architecture and interior design. Yet on discussing the ability to switch between the two, she is characteristically modest. To an outsider, it may seem that there would be an inherent conflict. To have freedom in one requires a stricter programme in the other. But for Ghahremani, it’s about carrying a design through, from start to finish, micro to macro. 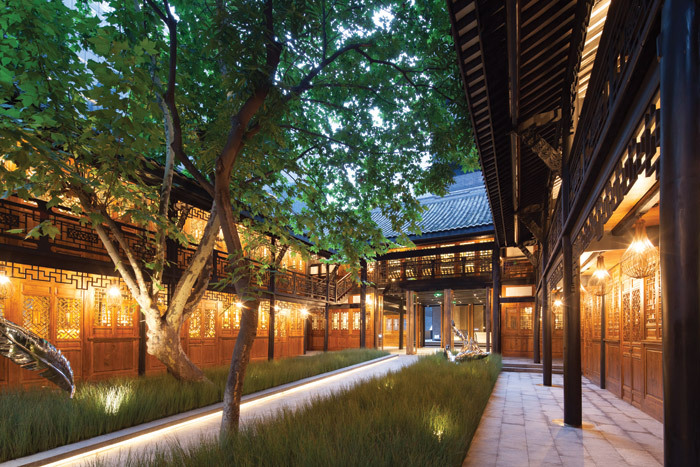 As design lead on The Temple House in Chengdu, Ghahremani was able to have control over the full scheme: from architecture, interiors, landscape concept and right down to suggesting accessories. While Ghahremani talks of the tactility of architecture, and the joy of a great detail, it is clear that she has a passion for the ‘behind-the-scenes’ work which others may find thankless. This ranges from the technical integration of a scheme and getting the MEP coordination right – to the point that it’s invisible – through to the development of a scheme before it even reaches the drawing board. 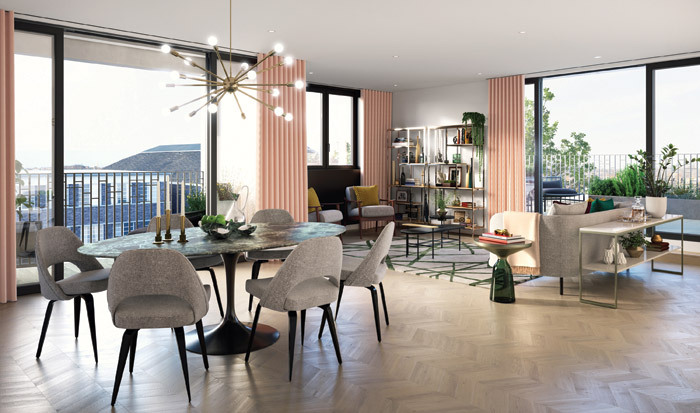 Ghahremani is project lead on Hornsey Town Hall, in which Make is converting the Grade II listed Thirties’ town hall into a hotel, arts centre and co-working space. The building being on the ‘At Risk’ register for Historic England, and with a community use agreement in place, the project was shrouded in contention from the offset. For 10 years, the project had been in limbo, with no architect being able to get it off the ground – either financially, or with the community. Ghahremani is hopeful that despite this past, they can restore a sense of trust in the community. She explains that the community, understandably, comes from a place of distrust in the developer, continuing, ‘Everybody thinks it’s a big bad developer coming in, and it was quite a challenging planning process in terms of engaging with the local community and to keep engaging throughout’. Talking of excitement about the continuing planning process, Ghahremani says she hopes to enable ‘everybody to really understand the design, show them the materials and show them the fabrics – and show them this is what we’re planning to do’. At this stage, unlike with Temple House where Ghahremani’s excitement is in the projects details, here, there is no concept of detail yet, but of the feeling, function and anticipation for the space to be given back to the community. ‘You can imagine the lobby is going to be buzzing with people co-working, people coming in for kids’ dance classes and yoga classes, people coming in for a show, people going up to the cinema. It’s going to be such a fascinating space.’ It seems that for Ghahremani, the look and feel of the space is still in the hands of the community. While Ghahremani’s passion for the industry is evident, it’s clear that this is made possible, and nurtured, through the work environment she has helped to build at Make. Although started by Shuttleworth, the culture of inclusivity that is built into their business plan could only have been nurtured by a group of people who believed in the benefits of this to both the practice and the employees. Ghahremani’s work within Make and the wider industry, speaks of someone who active seeks out how they can make positive change – both for a company that so often gets it right, and an industry that so often doesn’t.